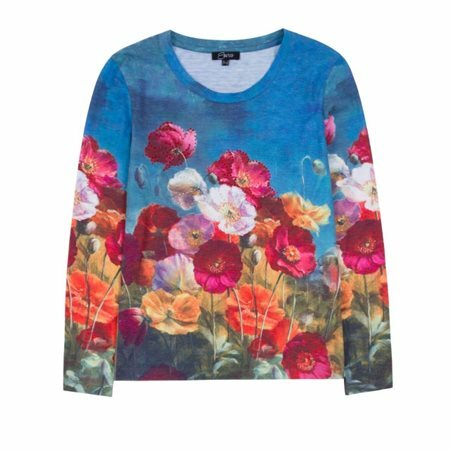 Bring the beauty of poppies into your wardrobe with this striking top by Emreco. The sky blue colour has been adorned with vibrant poppies and sequins that gives this top a glamourous touch. Wear it with stretch trousers for a chic look.